What is “The Zebra bag”? Recently I was asked why my blog had such a strange name and I realized that an increasing number of people associated with New Life Christian Fellowship, let alone others, had no idea how the name originated. It was suggested that I record the story for perpetuity. So here it is! In 2005 I was invited to become the interim pastor at Vista del Mar Baptist Church in Pacifica. I accepted, and on my first visit to preach I was informed that one of the features of their Sunday morning service was a “children’s talk”. I was not used to preparing such things and thought them (children’s messages) to be a residue of the dark ages. I resolved to phase them out as soon as possible! However, I was unable to do this immediately so I gave some thought to how I might fulfill the requirement, at least initially. I came up with the idea to call the children forward. gather them in a circle around me while I sat on the floor and a shared an object lesson. 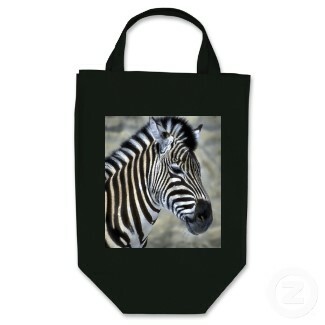 In order to keep the object from view, until I was ready to use it I would put it in a bag with a picture of a zebra on it that I had brought back form a trip to South Africa. You have probably guessed, that became known as ” the zebra bag” (which I pronounced in the correct English Ze-bra rather than Zeeeeeebra!). Well the bag, my pronunciation, and the object lessons, took on a life of their own. Far from being phased out they became a much loved and anticipated feature of our services for a number of years! Through them I formed some of my most precious relationships with children in our church family, who are now of course, teenagers and young adults! It was also these conversations that God used to fulfill dream of mine that our church would be one that children felt was for them and not just a place their parents dragged them to reluctantly each weekend. It also taught me a salutary lesson that I should be careful and prayerful before resolving to anything phase things out. I think (hope!) God was smiling as He impressed on me, somewhat emphatically, that He would decide these things, not me! So when I began this blog “from the Zebra Bag” was a natural title. As the church grew and those children grew older the children’s conversations became less frequent and , far from rejoicing, I was reluctant to see them quietly cease to be part of our Sunday celebrations. The bag itself was somehow was lost without trace but the stories that came from those conversations will remain part of New Life tradition for ever! 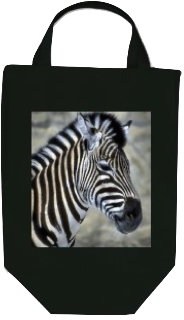 So if you are part of NLCF or come and visit us you might ask one of our high school seniors to tell you a story of ” the zebra bag’!! when I offered my opinion, I was able to support my feelings with fact. approach we should have as Christians. so helpfully set out in the historical article. centered holiday, with parades and town-wide parties as the featured entertainment. relatively inexpensive way for an entire community to share the Halloween celebration”. small children risks obstructing the Christian message of the value of community. events raises this matter to a new level. parading in costume or front-lawn displays featuring blood spattered body parts. home tonight would I be happy for Him to encounter the decorations in my front yard? share truth with our friends.